Get ready beach enthusiasts because this tour is designed specifically for you and yours! Bamboo Blu Beach is one of many hidden jewels of Ocho Rios that has established a superb name for itself with its clean and calming ambiance. Its location alone gives you a relaxing vibe not only for tourists but for us Jamaicans too! If you’re on a budget and looking for a feel good, irie day, then this excursion is definitely for you! Please be advised that all prices are inclusive of your round trip Know Jamaica Tour, transfers and entry fees for attractions. Puerto Seco Beach is rimmed with white sand beaches and crystal clear waters which makes it not only a refreshing location, but it’s also child-friendly. There are also attractive rustic restaurants onsite where you can go ahead and devour some of Jamaica’s most tasty cuisine while enjoying the background music for an even more serene aura. 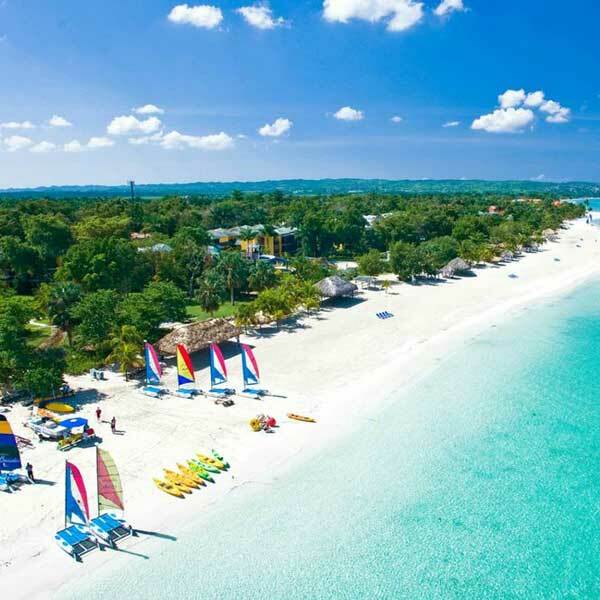 Puerto Seco Beach is located in Discovery Bay, one of the richest areas of Jamaican History as it is recorded that this is where Christopher Columbus arrived. Just minutes away from Puerto Seco Beach, you will have a chance to visit the fascinating Columbus Park outdoor museum which showcases remains of unique Jamaican artifacts important to our rich history and culture. Doctor’s Cave Beach is conveniently located right in the heart of Montego Bay’s Hip Strip which means you will not only get a chance to bask in the warm Jamaican sun and enjoy the crystal clear waters, you will also have a chance to walk the Hip Strip and shop as you wish!